Here is your Capricorn Horoscope for July 2018. Every month, you will find at WeMystic the astrological forecasts for your zodiac sign. The partial eclipse of the Sun in Cancer, which will take place on July 12th, will affect the VIII House of Capricorn, which can be interpreted as the beginning of an important relationship (for single people), or a new level of commitment between couples, where communication and consideration of the others’ interests are the main focuses. This type of mental framework can break down some old walls or myths connected to relationships, but the follower of the sign will be more confident of the role they play in the union, what they hope to achieve and what they are capable of delivering. The entrance of Juno to the V House of Capricorn (07/01), shows us the possibility of a passionate romance (Eros will enter the V House on 07/19), which will formalize faster than expected; but beware, because Uranus is in this same location. And remember that “easy comes, easy goes”. If you believe that the relationship has potential, you must go beyond what it looks like on the surface. Finally, the beginning of the retrogradation of Chiron in the IV House of Capricorn (07/05), invites you to reflect on family situations and past events that make your heart heavy. In the case of immigrants, this transit is a sign to address any feelings of homesickness and loneliness. Take a moment to forgive and release burdens. 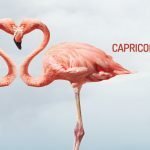 The sons and daughters of Capricorn will pay special attention to their finances during the month of July due to the constant ups and downs that they will experience in economic matters; however, the end of the period will bring a positive balance in revenues. The total eclipse of the Full Moon in Aquarius, which will take place on July 27th, will touch the II House of Capricorn, a section of the astral chart associated with the management of material and intellectual resources and personal valuation. The lunar eclipses indicate the culmination of cycles, and remember that the South Node of Karma (what we must overcome) and Mars in retrograde (postponed actions) will be in the II House of Capricorn. These alignments are about splitting with old ideas about money (as a proof of success or a tool to manipulate others), and building a more positive notion about the importance of it. On the other hand, the asteroid Palas and the Sun will enter the VIII House of Capricorn (on July 11th and 22nd respectively), which refers to earning money through business or agreements that have been developed as a family or with the participation of your partner. Note that Mercury can also be found in the VIII House of Capricorn, indicating that sources of income can be diversified or obtained through means which haven’t been considered yet, (with Pallas in this position, a strategy must be considered carefully before moving on to action). The retrogradation of the planet of communication, which will begin on July 26th in VIII House of the goat, represents a period to discuss the different investment plans which you can get involved in. Discuss it with the participation of your family or life partner. This astral event (Mercury in retrograde in the VIII House of Capricorn) also makes a reference to the need to learn to trust, and delegate “power” to the people closest to you, without thinking that this will weaken you in their eyes, will lead you to failure, or you will lose leadership (the apparent phase of retrograde will occur under the influence of Leo). There is a positive outlook for the workplace. The partial eclipse of the Sun in Cancer, which will take place on July 12th, indicates the possibility of starting a profitable business partnership. Also, the entrance of the asteroid Eros to the V House of Capricorn (07/19) speaks of creative passion, which will help you expose your talents to the world. It is a project that you feel deeply committed to (Juno will enter the V House on 07/01), and although it is something new for you (Uranus in the V House of the sign), it will bring you deep satisfaction. The entrance of Venus to the IX House of Capricorn, on July 9th, will bring about the opportunity to promote your work outside of the usual avenues (possibility of connecting with foreigners), especially if you work on artistic, creative projects, or projects related to research or social impact (the planet of desire is under the influence of Virgo and accompanied by Ceres). This transit (Venus in the IX House of Capricorn) will be favorable for students of the sign, particularly for those who wish to start a language course or apply for scholarships and/or exchange programs. In general, the health of the natives of Capricorn will remain stable during the month of July, but it is important to keep dental care in mind. Go to the dentist immediately in case of sudden pain or dental fractures. Saturn, ruler of Capricorn, is in retrograde on the sign of the goat (like Pluto). In medical astrology, the master planet of karma is associated with bones and skin, so the followers of the sign should be alert for any symptoms associated with them. Likewise, with Pluto in retrograde in Capricorn, constant care of the intimate area is a must, since this celestial body concerns the genital organs (female and male). In terms of mood, the retrogradation of Pluto and Saturn can make the native of Capricorn into a quite solitary and deeply reflective person (much more than usual), with a marked tendency towards irascibility, exacerbated by the presence of Lilith, also the sign of the goat. Astrologically, Lilith represents the darkest aspects of the personality, those which we struggle to repress at all costs, because we consider that they separate us from others or are not politically correct. Lilith in Capricorn indicates pride, coldness, authoritarianism, frustration and depression. With this astral position, the follower of the sign must learn to recognize the importance of others in their life (including loved ones), and not consider them as disposable or substitutable individuals.